So I’ll admit to an inaccuracy in this blog post right off the bat (one which is pretty obvious in the photos): this session did not take place in Madison, but rather was shot while I was still living in the Vancouver, BC area. So no, Madison area clients, I will probably not be able to include a backdrop of high rise apartments in your photos and I’m pretty sure Vancouver’s iconic BC Place will not feature in your session. That said, I can absolutely guarantee that the style of photos here–genuine, natural, relaxed and chalk full of love–will be what you get no matter where you hire me. (To learn more about the details of hiring me, you can head here.) 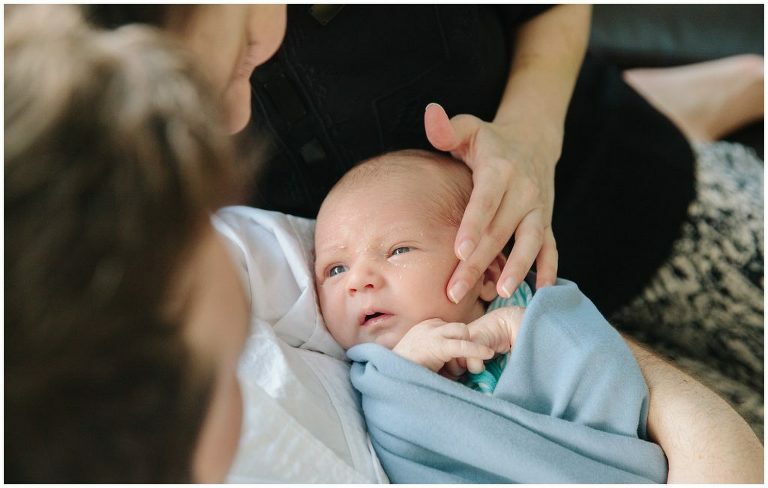 My Madison WI newborn photography will be, in all meaningful ways, the same as my Vancouver BC newborn photography so hopefully you’ll forgive me for playing fast and loose with post titles around here! I was so happy to be able to be able to do this session a few months back. 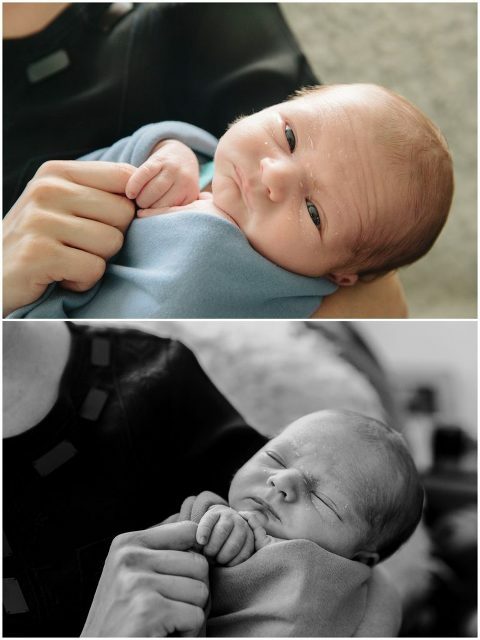 Being invited into a family’s home upon the birth of a new baby is always an honor and taking photos of a family with a new baby is invariably a heart-warming and beautiful task. 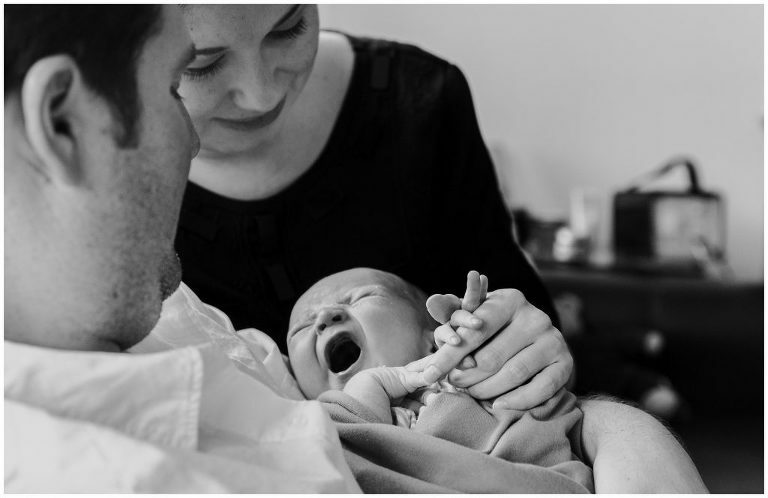 In this case, both mom and dad were so obviously smitten with their amazing little boy and it was such a privilege to be able to capture their love and adoration for him (and for each other!). I really believe that those early days at home with a new baby fly by so fast and in such a haze of sleeplessness, that if we don’t take time to memorialize them, they will be lost forever. 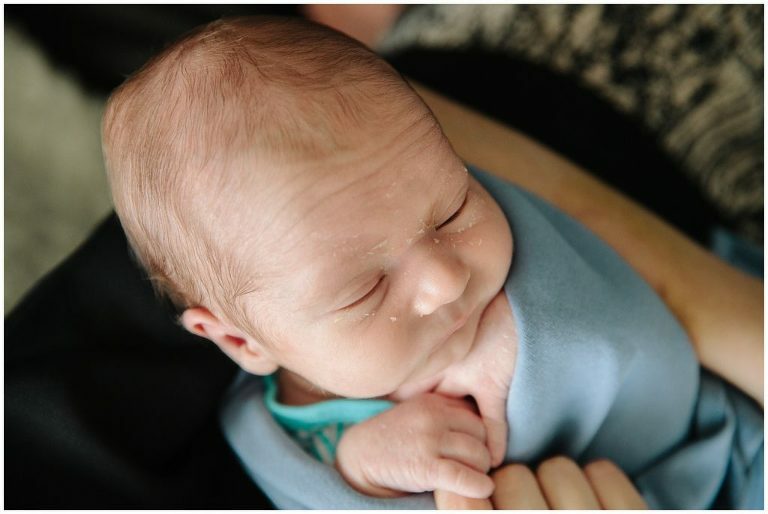 In this case, I am so happy to have been able to provide this family with a visual remembrance of those first few days at home during which time snuggling, gazing lovingly and attending to every cry and coo were the main items on their new parents’ agenda. Madison WI newborn photography, here I come (I hope! ).